A Black Moon occurs when two new moon’s fall in the same month. On September 30th, the New Moon will peak in Libra however, for those living in Australia and the UK, the New Moon will peak on October 1st, due to time difference. Having a Black Moon is very rare, but seeing as only part of the world will experience the Black Moon energy, it may not be clear how it is going to manifest as a whole. While we will all feel the effects of this New Moon, those experiencing a Black Moon may feel this energy amplified even more. Traditionally, Black Moon’s are ultra feminine and represent a time of great awakening and clarity. Black Moon’s are extremely powerful and often indicate a sharp turning point in a cycle. New Moon’s are all about releasing and letting go so the new can emerge. On a New Moon, it is often a good time to go within and spend some time clearing through your subconscious mind. The New Moon often represents the planting of a seed, and the darkness that seed experiences before it begins to bloom. To have two New Moon’s in one month signifies a very powerful blossoming process and one that has probably been in the works for some time. September’s Black Moon is filled with positive aspects and plenty of opportunities. In fact, the entire week leading up to the Black Moon and the days that follow it, are going to be extremely positive and peaceful. The energy of this Black Moon is so supported by the other planets and it is very likely we will all be experiencing great epiphanies, opportunities and even, miracles. In fact, this Black Moon is going to deliver an extremely positive force, helping us to manifest all of our greatest dreams, wishes and desires. If you have been looking to change or shift something in your life, if you have been building new ideas or projects, this Black Moon is really going to give you an amazing push in the right direction. Whatever has been troubling you, whatever has been shrouded in doubt and confusion may also become clearer to you around the time of this Black Moon. If you are in doubt about anything in your life, you may find it beneficial to wait to see what energies and what opportunities the Black Moon brings you. 2016 is really a year of endings, and the recent Eclipses in September have definitely highlighted what needs to be released and what needs to be ended. Now, this Black Moon is going to be helping us all to awaken to these endings, accept them and perhaps also feel liberated by them. 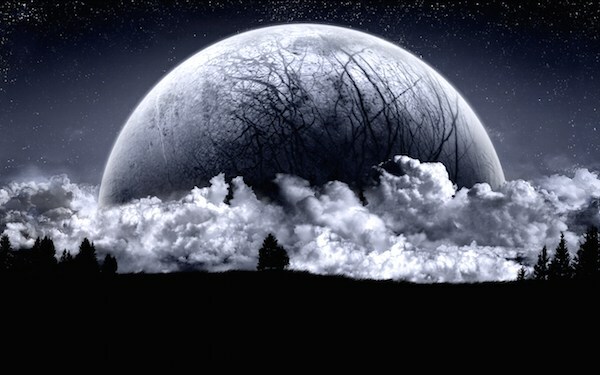 Spiritual insights, intuitive feelings and emotions may also be amplified on the night of the Black Moon. For this reason, it is important to be gentle with yourself and to trust any intuitive inspiration that comes your way. Overall, the Black Moon is going to bring an extremely positive force and is going to help all of us to change directions in our lives in some way. This is definitely a welcomed change and one that is going to help us finally bring a close to all that we no longer need. This is going to help us spring forward in the right direction with clarity and positivity and will help us all to feel a burst of fresh energy and inspiration. Pay attention to what transpires for you around the Black Moon, for it is sure to be guiding you towards your highest path.